The annual United States of America’s, “Secretary of State's International Women of Courage Awards” took place on Tuesday, March 29th. The US Secretary of State, John Kerry, honored fourteen unique women from around the world who have demonstrated courage and leadership in advocating for human rights, gender equality, women’s equality, and social progress. To name a few, recipients included citizens from Asia, Africa, the Middle East, Europe and even the Caribbean. 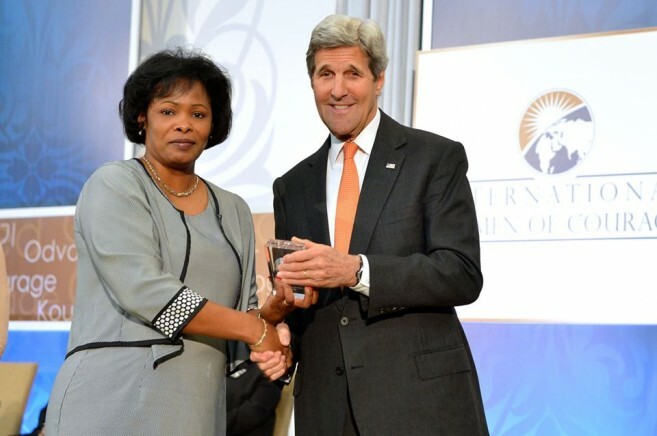 Debra Baptist-Estrada, native of Belize, received an impressive award from Kerry in Washington, DC at the US State. For the last 20 years Baptist-Estrada has worked as a Port Commander at the Belize Immigration and Nationality Department in the immigration department. Estrada is courageously promoting the change this country needs by strengthening the rule of law. On April 1, the award winners will travel across cities in the United States to attend an International Visitor Leadership Program. In the end, the group will reunite in Los Angles, California to reflect and share ideas on how to improve the female population in the world.